With a vast and beautiful landscape like Queensland, you could easily miss some of its most magnificent hidden corners. Follow our expert guide to the state and uncover breathtaking beauty in all its timeless glory. From coral cays to ancient rainforest and everglades, six locals reveal the dramatically different places that have captured their hearts, and take you on a personal tour of where they call home. "Call me biased, but Lady Elliot Island is the jewel in the crown of the Great Barrier Reef, and a gift to the planet," says Peter Gash, leaseholder of the island in question, a lesser-­explored coral cay in the southernmost region of the Reef. "I love to take people out to show and inspire them. There are more than 90 species of bird and 1,500 species of fish, and it's one of the best places to snorkel with manta rays. 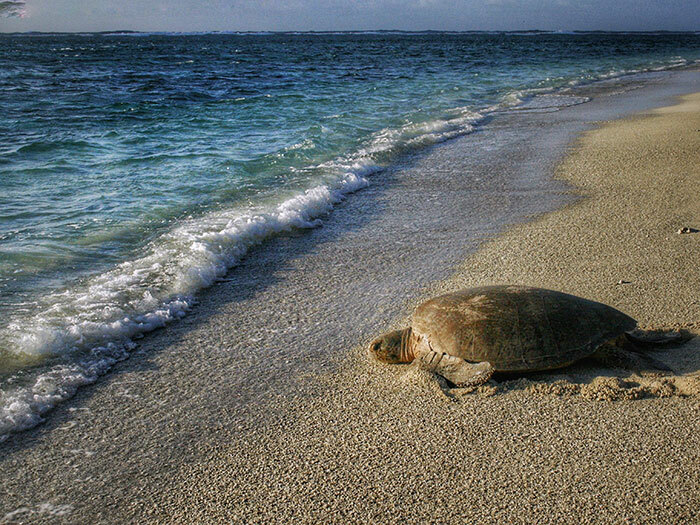 Plus, you're pretty much guaranteed to see a sea turtle. Amazingly, they won't swim away. The island is special. It's a unique maritime environment and recovering mine site." In 1863, the island was mined down to its hard coral base and left barren for a century. But Peter and his company have helped restore it. "It's one of the joys of my life to see how the island looks today. There are great experiences around the world but it's hard to beat what you get at Lady Elliot." Getting there: Daily flights from the mainland to the island leave from Bundaberg, Hervey Bay, Brisbane and the Gold Coast. Stay: The only option is the Lady Elliot Eco Resort (ladyelliot.com.au). Visitor numbers are limited, so the island always feels like a secret tropical hideaway. Eat: Doughnuts. If you're travelling to Lady Elliot from the Gold Coast, leave enough time to pick up doughnuts from old-school Fosters Bakery (1/2227 Gold Coast Hwy, Mermaid Beach). Drink: Is Bundaberg your gateway to the island? Take a tour of the Bundaberg Rum Distillery (bundabergrum.com.au) and blend your own rum. Don't miss: If you're setting off from Hervey Bay, a whale-watching cruise is a must. The season runs from late-July to November. Bram Collins, a local guide and MD of Undara Experience, has embraced his unique childhood by taking over the family business, which has operated in Undara since 1862. 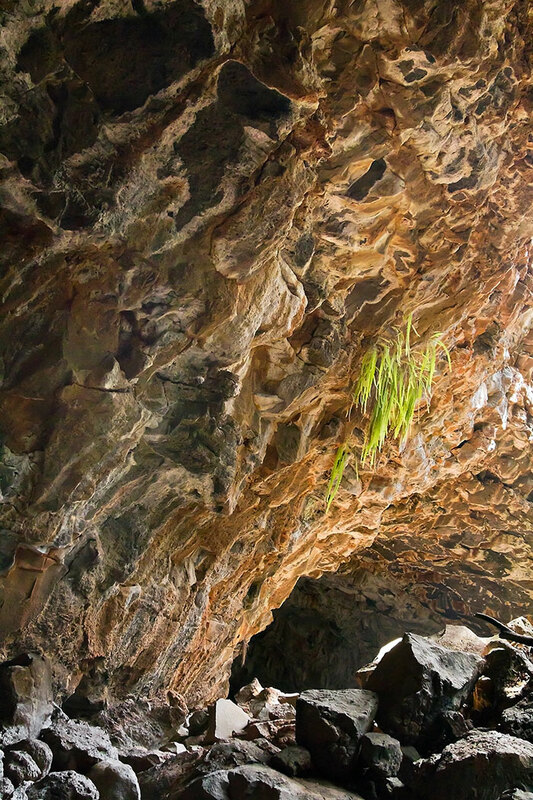 The focus has gone from cattle to caves, and Bram guides visitors to the oldest standing lava tubes on Earth. "About 190,000 years ago, the lava that poured out of this crater flowed down river beds, travelled a distance of IOI miles and left behind the Undara Lava Tubes. The first time I saw them, I was seven; it was the most beautiful place I'd ever seen, and that first image has never left me. Until you've stood inside the lava tube and been in awe of its size, you can't explain it to people. It's unforgettable. When you think how long it has been there it makes you wonder about your own significance. You might think you've had a Queensland experience, but dig a little deeper and you'll discover something that you haven't done before." Getting there: Take the Savannahlander train from Cairns and travel through the Aussie Outback and UNESCO World Heritage rainforest. Stay: Bunk yourself down in vintage railway carriages that have been transformed into cool and comfy lodges at Undara Experience (undara.com.au). Eat: Hearty grub is served by the campfire at the Fettlers Iron Pot Bistro, also at Undara Experience. Drink: Head to the Saloon Bar straight after a meal at the bistro, where you can get yourself a nightcap and experience some Outback hospitality. Don't miss: Outback Rock and Blues, a music festival in the National Park that typically takes place every year in April. “The old people say that a long time ago in dreams, creation spirits came and dreamed the forest and its creatures into being. When the people came, they were given these stories so they would know how the mountains, animals and land came to be," says Sonya Jeffrey, MD and guide at lngan Tours, whose ancestors have lived here for thousands of years. Deep in the rainforest, Tully Gorge National Park is part of the Wet Tropics World Heritage Area. Visitors can explore rainforest streams, hike to a mountain summit and take in the history of those who live there. "The stories teach important lessons about living and how to care for the land and people. We are custodians of the rainforest, and everything here is special to me. Every creek and river has its own story and an Indigenous name. Every rock has a name. lngan Tours is our family and our legacy." Getting there: Travel with Flight Centre on the Brisbane to Cairns Experience, which includes a trip to Tully River and the lngan Cultural Museum. Stay: Tully Gorge is a two-hour drive from Cairns, which is the ideal base for adventures into the rainforest. Or, Mission Beach is only 30 minutes away and offers 9 miles of unspoilt beaches surrounded by lush rainforest. Eat: Try authentic bush tucker with a fine-dining twist at Ochre Restaurant (ochrerestaurant.com.au) in Cairns. Drink: Chill out with a tropical cocktail at Cairns institution Salt House (salthouse.com.au), a breezy waterfront bar and restaurant at Marina Point. Don't miss: Alligators Nest Swimming Hole, Tully Gorge National Park. Bonus: no alligators (or crocodiles!) present. Out and about: Tully Gorge National Park can be found on the north-east coast of the state. 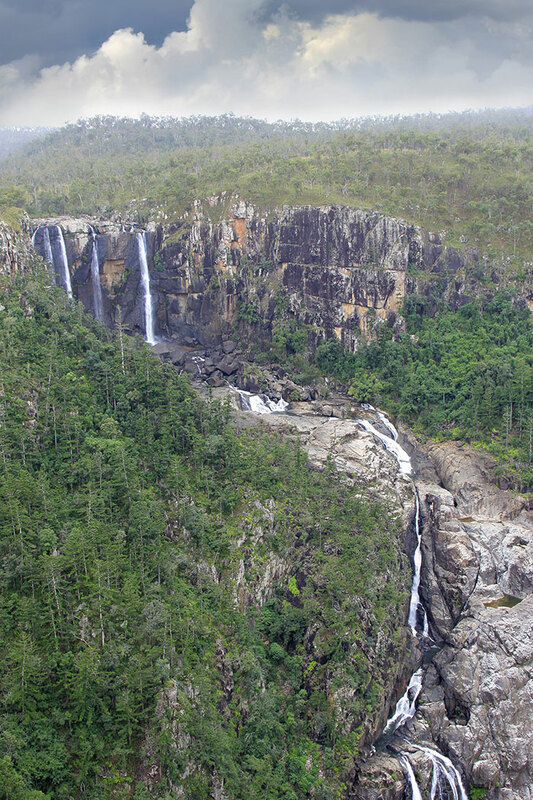 Tully Falls, although only active in a big wet season, is an awe-inspiring sight, with 300m of rock and rainforest plunging down to Tully River. "When I get out on that water and go kayaking, most of the time I don't see another soul. There's that feeling of peace. You stop paddling and you hear nothing but the birds," says Australian kayaking champion Vivienne Golding, Company Director of Kanu Kapers, which runs tours through the tranquil ancient waterways. Getting there: Access the waterways between Noosa North Shore and Rainbow Beach. Parking at Elanda Point is a JS-minute drive from Noosa and a two-hour drive from Brisbane. Stay: Pitch up at the Fig Tree Creek campground, or book a kayak and camping tour with Kanu Kapers (kanukapersaustralia.com). Eat: Enjoy perfect pasta and wood-fired pizzas at Locale in Noosa Heads (localenoosa.com.au). Drink: When the stubbies run out on your camping trip, those in the know hit Whisky Boy - a hipster joint in Noosaville with a choice of more than 85 whiskies (whiskyboy.com.au). Don't miss: Call into Noosa Farmers' Market (noosafarmersmarket.com.au) to stock up on all things local. Out and about: Noosa Everglades is 62 miles north of Brisbane, and around 6.2 miles up from the beaches and surf spots of the Sunshine Coast. 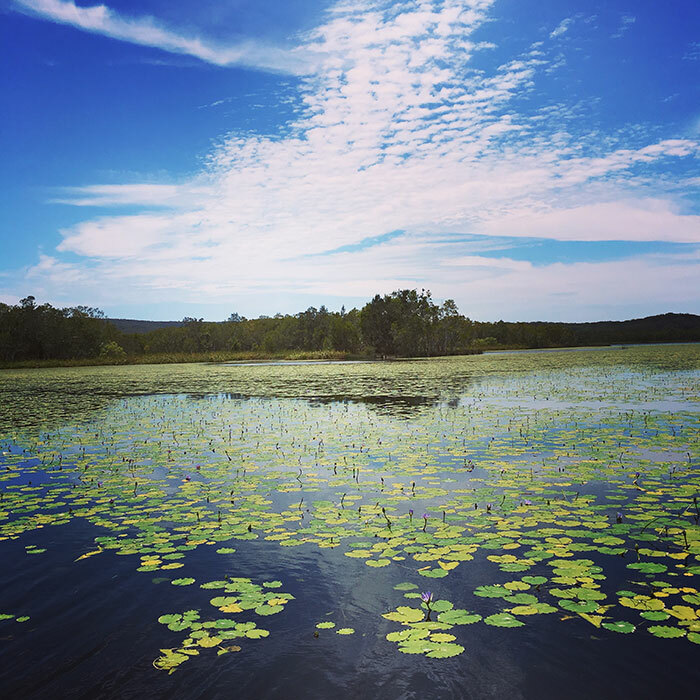 Noosa River's entire upper catchment is home to more than 44% of the bird species found in Australia, and is one of the world's most pristine wetland areas. "I'm inspired by Mother Nature," says Sean Scott, a coastal landscape photographer based in Burleigh Heads on the Gold Coast. He's had a gallery in the town for 12 years, but has lived there for 30. "The first thing I do when I get home from a trip is wake up early and go down to Burleigh Cove to capture the sunrise. It's amazing, you never take the same picture twice. Not only have we got one of the best surfing breaks in the world, we've also got one of the best strips to meet for breakfast, great bars where you can go for a drink, and world-class restaurants overlooking the ocean, serving famously fresh fish. There's a really cool coastal vibe here - like a town within a city - that appeals to pretty much everybody." Getting there: Emirates has launched flights to Brisbane from £589pp. Stay: Burleigh Mediterranean Resort (burleighresort.com.au) is a two-minute stroll from some of the Gold Coast's best surf beaches. Eat: Go to Oskars restaurant (oskars.com.au) for an innovative menu and incredible views. Think white sand and vast blue ocean by day, and mesmerising sunset and twinkling skyline by night. Drink: Head to Justin's Rooftop (justinlane.com.au) for cold drinks and hot pizzas - there's even a clever water misting system to keep you cool in the heat. Don't miss: Pop into the Sean Scott Gallery (seanscottphotography.com.au) for a one-off print to take home, and be sure to book a surf lesson at one of Burleigh's famous beaches. Out and about: Take a 20-minute drive to Surfers Paradise, an iconic surf and nightlife spot, and one of the Gold Coast 2018 Commonwealth Games venues. 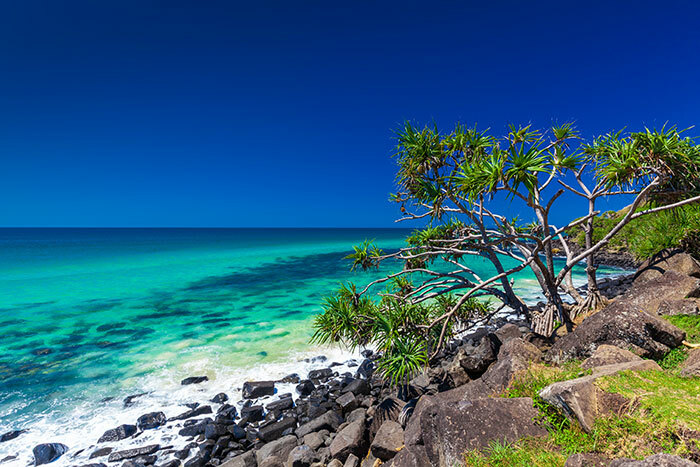 Experience the best of Queensland on our Australia's Nature Coast Journey, 13 days from £1,799pp. To find out more about our range of Queensland holidays, make an appointment to chat with our Travel Experts in store.